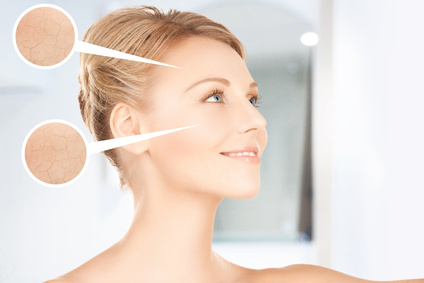 Will Your Mineral Makeup Foundation Cause Dryness To Skin? That is the beauty of our mineral makeup foundation since it will not cause skin to feel or look dry as long as you use a quality moisturizer. Skin without moisture, of course, will then feel dry since mineral powders are not designed to be moisturizing. By creating the three formulas for different skin types, this affords women the opportunity to wear mineral makeup, even those with dry, mature skin. Our ONATI Skincare products help create the perfect finish when used with our minerals. Although our mineral foundation is in powder form, it will not act like a typical mineral powder, but will actually meld with the face and your moisturizer, similar to a liquid foundation, but with incredible staying power. Literally no melt out and remaining on the skin until you wash the minerals off. Another reason many women associate some mineral powders with drying out their skin is due to the use of Talc found in most of the large commercial brands. The ingredients we use are what make our minerals unique to any others on the market. Plus the proprietary ratio blend of individual ingredients is what also keeps our mineral makeup foundation from causing dryness or irritation to the skin. Other mineral makeup brands, primarily made up of the promotional 'less is more' concept, 4 ingredient formulas of Mica and Iron Oxides, along with Titanium Dioxide and Zinc Oxide, are why women with dry skin have a difficult time wearing minerals even if they moisturize. What Makes Our Minerals Perform The Best? Rice Powder, reduced ratios of Mica, which is also surface treated with Methicone, and Jojoba Oil, are the ingredients designed to enhance and retain moisture against the skin, never leaving the skin feeling tight, dry, or itchy. Of course, always use a good moisturizer beforehand for best results and our mineral makeup foundations will do the rest for providing unsurpassed beautiful, velvety coverage, while leaving skin looking youthful and feeling incredibly soft like a rose petal. In fact many women have reported their dry flaky skin improved, including women with psoriasis. This is a bonus when trying to find a mineral makeup which won't exacerbate this condition. Plus you will never have to worry about the use of hidden coatings, like film formers, surfactants, binders and waxes which can be found in many mineral cosmetics without ever being listed directly on the label. All of these creating ongoing problems for those with dry, acneic, mature skin, including causing dry flaky skin, and mineral makeup never performs well when the face has dry patches or peeling skin showing through. The use of Allantoin in our mineral makeup helps control this as well, another bonus. Our mineral makeup will be truly the last and best mineral makeup you'll ever try, while also being the easiest to use.